As a rule, bees and wasps are beneficial insects unmindful of the activities of man, as long as man makes it a point to disregard them. At times, however, the nests of these insects may be built in such close proximity to the home, or even in the home, as to make the area too confining for both insect and man. Many times the stings of bees and wasps are usually a painful experience for a few individuals the consequences may be much more serious, resulting in a severe reaction or even death to some people. The honeybee is a social insect living in large colonies. Three types of bees are in the honeybee colony: queen, workers (infertile queen) and drones (male). There is only one egg-laying queen in a hive. 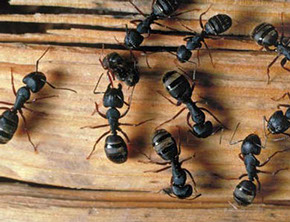 The bulk of the colony consists of workers. The males (drones) purpose is to mate with the virgin queens. The drones just buzz and don't sting. the summer the adult bees emerge. A carpenter bee infestation is often first detected by finding large amounts of sawdust on the ground below an area being drilled. Hornets and yellow jackets are members of the wasp world and pose real problems for humans. 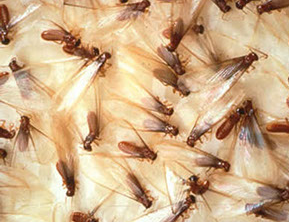 These social wasps live in colonies, which number thousands of individuals. 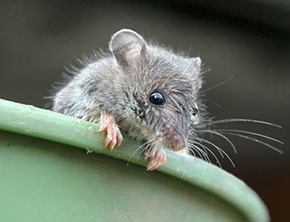 They nest in wall voids and attics of homes where they can go unnoticed all season. They leave the nest area flying outdoors in search of food. However, in the fall when temperatures drop they fly indoors and then they become a health threat. 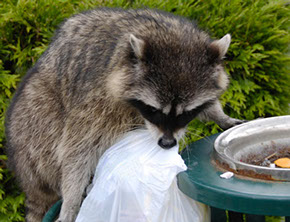 We will inspect for nesting areas then apply products to the nesting site, then destroy/remove the nests. Do not come in contact with any of the products. If contact is made wash all exposed body parts. It's common to see some activity around the treated area for sometime following treatment.